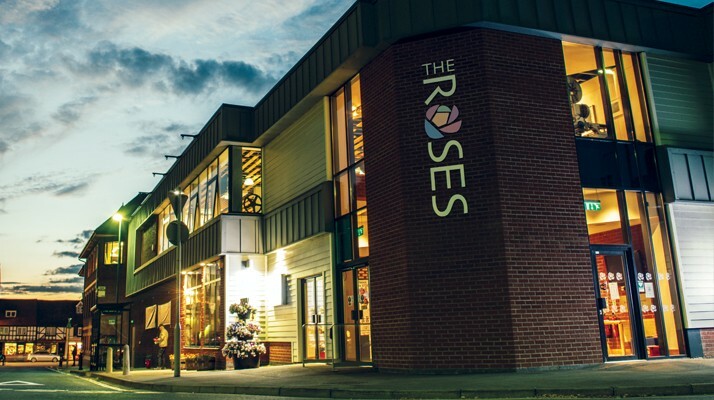 The Roses is a busy and popular arts centre in Tewkesbury with an eclectic programme of live events, take part activities, exhibitions and festivals. In addition to the 370 seat auditorium, The Roses boasts a relaxing bar and coffee shop where you can enjoy a pre-show and interval drinks as well as live entertainment including jazz and folk music and stand up comedy. Complete with an exciting film programme of world, independent and UK film, The Roses is a diverse and exciting arts venue. We aspire to be an outward looking, innovative and inclusive centre for the arts, offering a diverse creative experience of the highest quality for our communities. We believe that artistic experience can change lives. It provides a space in which we can see, listen, engage and understand. It also gives us the joy of sheer entertainment! Through this experience our lives are immeasurably enriched. We believe that our relationship with our audiences and participants starts at the youngest of ages and should be a relationship for life. Our vision is the creation of a vibrant cultural destination venue, open all day through to evening, offering a variety of different activities; a busy building showing films, delivering workshops, offering food and drink right through the day; available for meeting hire, conferences, wi-fi enabled, and a place to meet and converse for coffees and lunches.